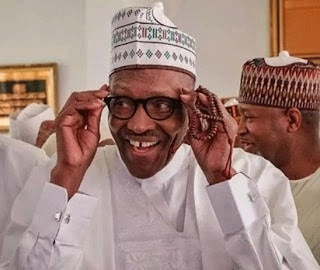 President Muhammadu Buhari has, Monday, reiterated his government’s speedy response to the crises rocking many parts of the country, saying security of lives and property is his government’s paramount goal. President Buhari, while replying critics, said he has authorized the deployment of a team of 1000 “strong military force” to Zamfara to quell the insecurity challenge rocking the state. President Buhari also said that same sizes of special military forces have also been deployed to other flashpoint states like Benue, Nasarawa, Taraba and Plateau states. Some Nigerians had taken to the micro-blogging site, Twitter, to critique the Buhari-led government’s response to the various security crises rocking some parts of the country. While some gave him a thumb up, many others gave it a knock, saying the president has not done enough to solve the security issues. I have authorized the deployment of a 1,000-strong Military Force to tackle the troubling security challenges in Zamfara. We have another Special Military Force, of about the same size, in Benue, covering Nasarawa and Taraba as well. In Plateau we have Operation Safe Haven. In the face of the evolving security threats, in the North Central and North West, we remain determined to neutralize every form of banditry and criminality. What we will never do is abandon any part of Nigeria to terrorists and criminals. Our security agents have arrested hundreds of suspects across the flashpoints, and investigations and prosecutions are ongoing in several cases. I acknowledge that more needs to be done in this regard; we are counting on the full cooperation of the Judiciary to achieve this. However, some twitter users disagreed with Mr. President. Ekiti state Election 30,000, security for human lives against bandits 1,000. We now know your priority our beloved Mr President. Don’t worry I have my PVC. 1000 security personal to stop #ZamfaraMassacre While you sent 30000 securities personal to Ekiti just for election. For buhari, LEADERSHIP is about the next ELECTION not the next GENERATION. Mr. President, if you don’t fear anyone please fear Allah, this wasn’t what you promised us. May God and souls of the dead judge those in power and refused to pay adequate attention and render necessary help to the lives of the citizens. Try 30 thousand and you will see how effective the insurgent will be wiped away, I guess it not an election to gain power. Nigerians lives mean nothing but winning election does. The use of satellite technology will aid in finding a long lasting solutions to the killings as this will support the air force in accurate detection of movement and locations of the bandits. 30000 policemen was for election,the 1000 are security forces or army as they are called,but that number is still grossly inadequate,my thoughts though. If democracy was a football i would have loan #Buhari to a relegated club and buy a better player. Nigerians can’t come out in droves to protest against #Buhari, you know why? A lot of you displeased with him at this moment put him there. You said there was no alternative. Now shame won’t allow you March against him like you did GEJ in 2012. I need a new country.